My daughter took a stomach acid test with bicarbonate. She burped after 51 seconds. If you burp after 1 to 2 minutes, it means that you have normal stomach acid. So my question is. 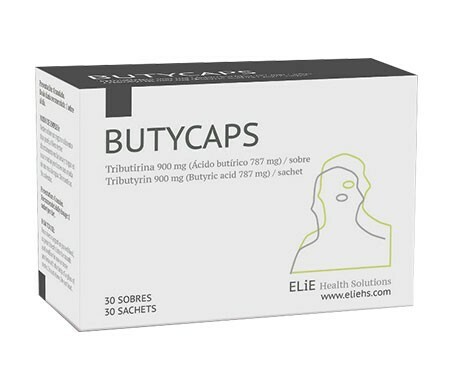 Her doctor still wants her to take butyric acid (Butycap). The doctor says it does not matter that my daughter has normal stomach acid. He said Butyric acid is important for intestinal health and is recognized as the main source of energy for the colon epithelium or intestinal barrier or intestinal mucosa, the epithelial cells that make up the thin layer of a mucous membrane covering the intestinal surface. But I am afraid it could be too much stomach acid? Isn’t it that everything should be in balance? Acetylsalicylic acid (commonly known as Aspirin!!) or even vinegar, it will react but at a different speed — that is the key: speed of reaction. This can be influence by temperature and other factors. The species of bacteria involved in the production of butyrate are Clostridium spp,Eubacterium spp., Fusobacterium spp., Butyrivibrio spp., Megasphaera elsdenii, Mitsuokella multiacida, Roseburia intestinalis, Faecalibacterium prausnitzii and Eubacterium hallii . Recently, an increased intake of highly processed, low-fibre food products rich in simple sugars has been observed, resulting in low levels of butyrate production in the intestinal lumen. Butter contains significant amounts of butyric acid (a low molecular weight fatty acid) which is volatile and makes a significant contribution to the flavour of the fat. Taking butyric acid will not impact stomach acid. As with all supplements, a little research can reduce you supplement coasts by a factor of 10 often (as also seen in my last post). This also reminds me of this article you wrote previously on probiotic strains that may create butyric acid, perhaps as an additional way to consider getting it.